Take a default 8×8 grid. 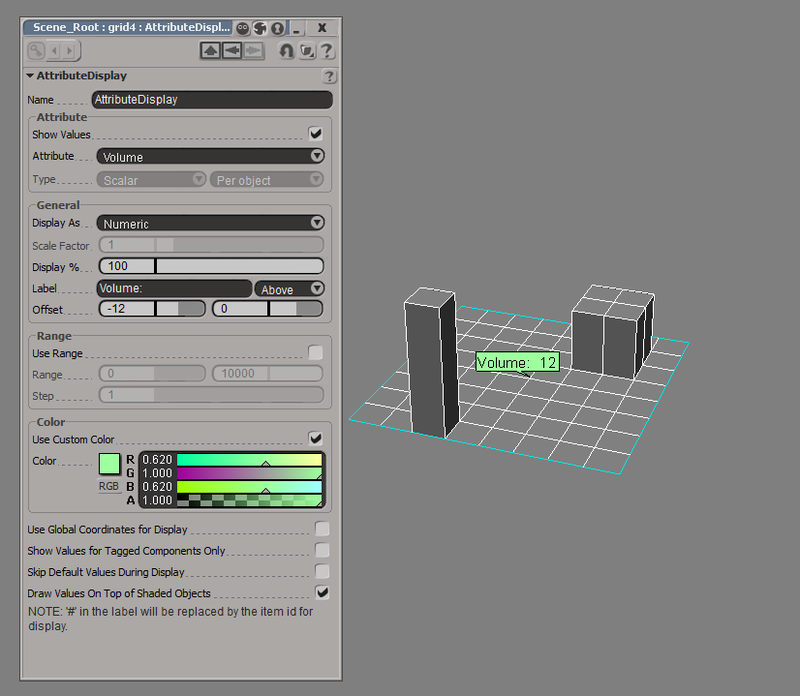 Extrude one polygon four units. Extrude four adjacent polys two units. Add an Attribute display property for the Volume. This entry was posted in ICE and tagged ICE, Softimage, volume by xsisupport. Bookmark the permalink.